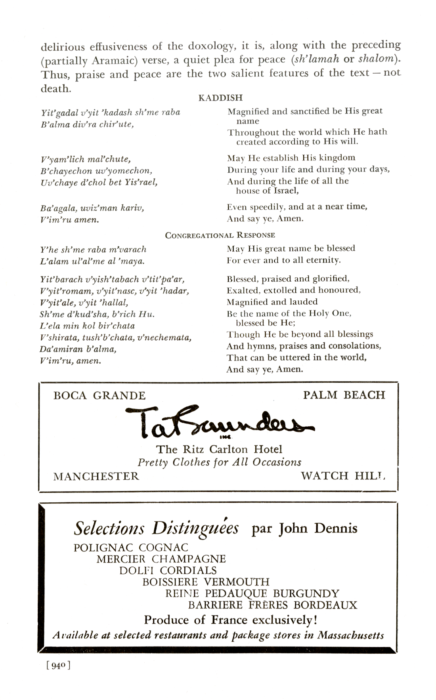 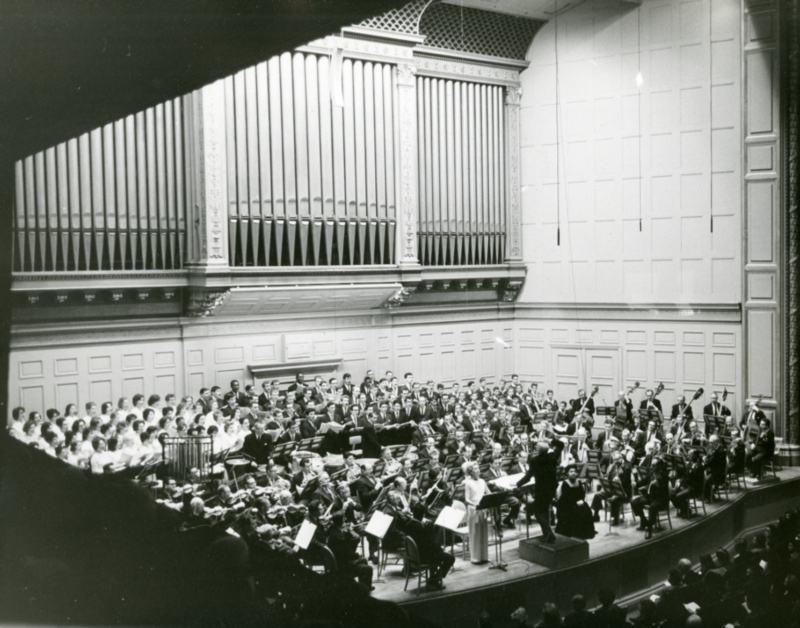 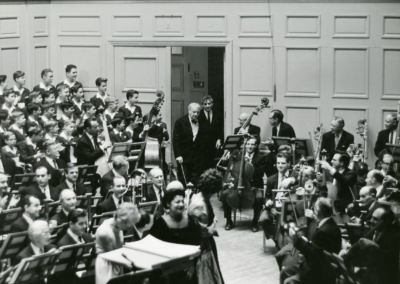 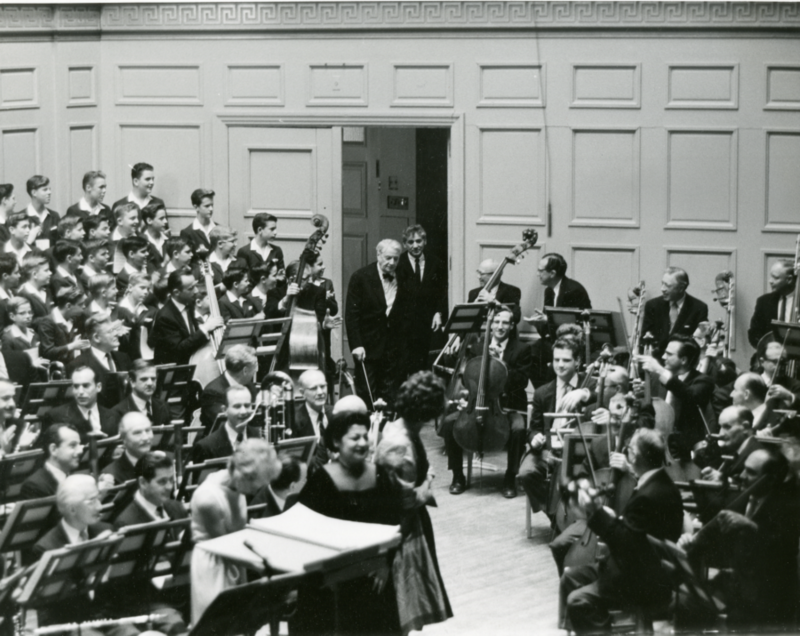 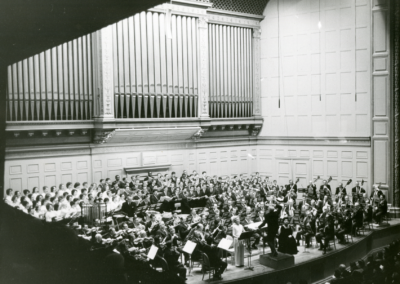 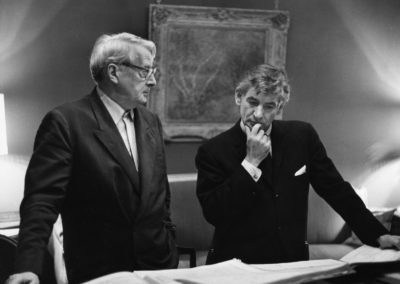 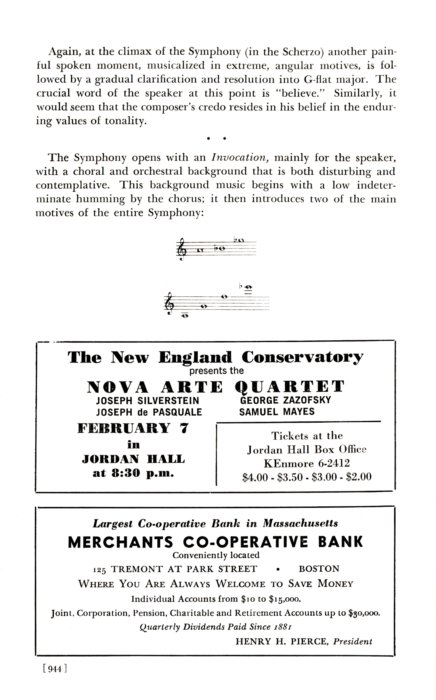 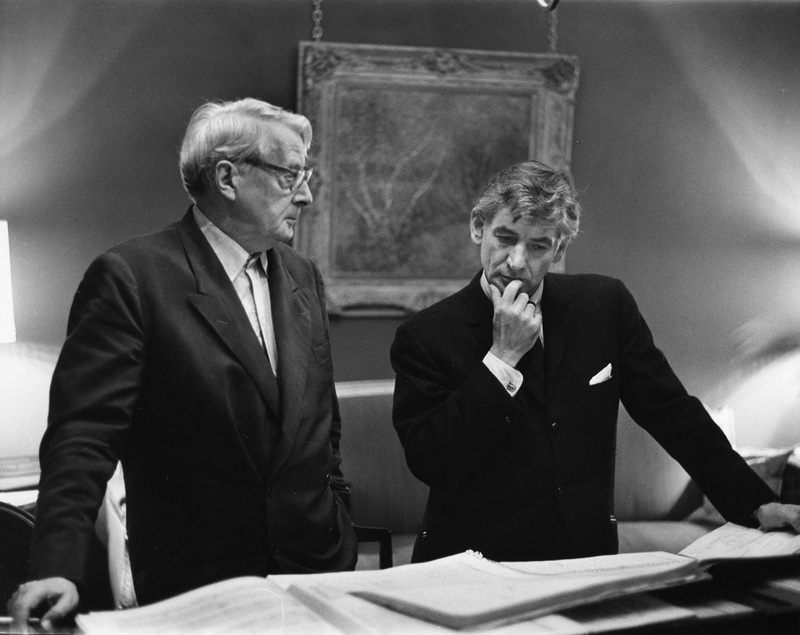 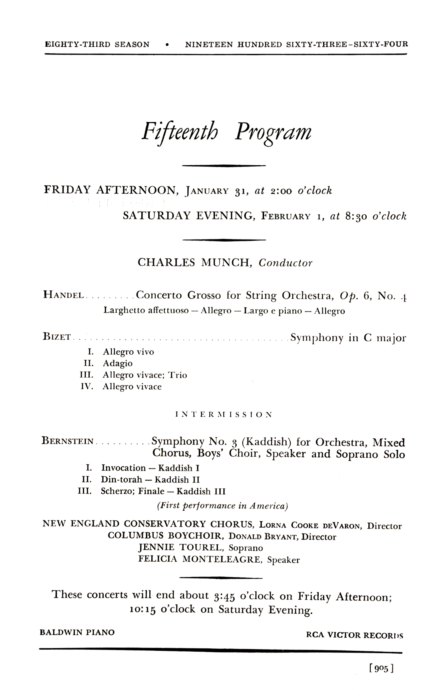 Charles Munch conducts the BSO in the American premiere performance of Bernstein’s Symphony No. 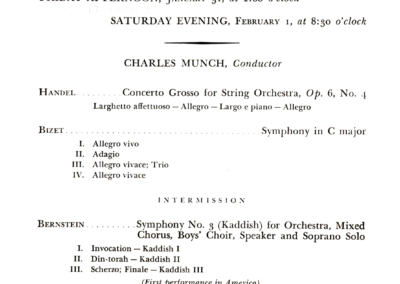 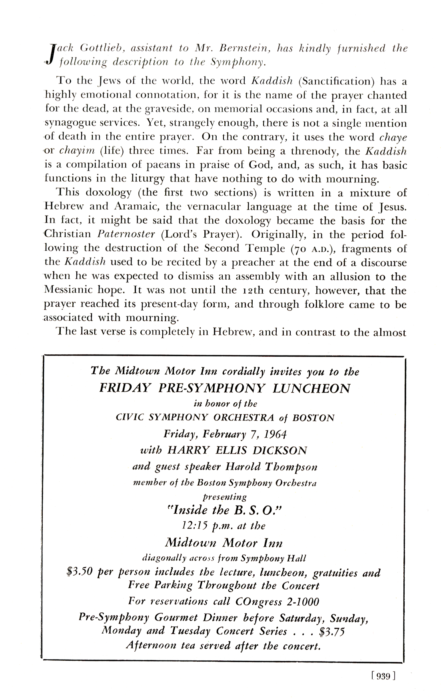 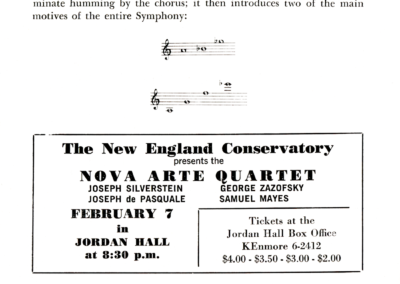 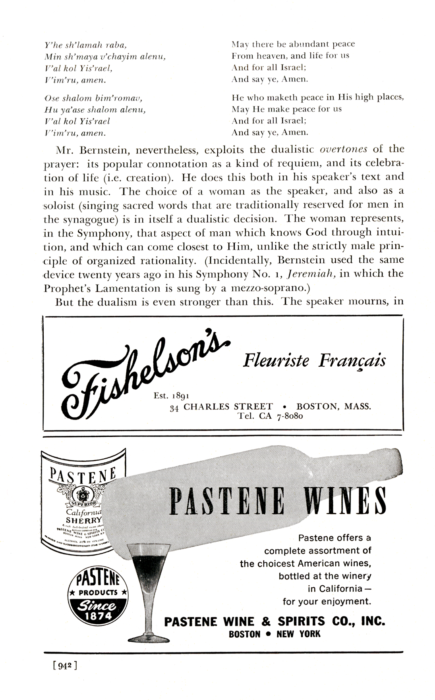 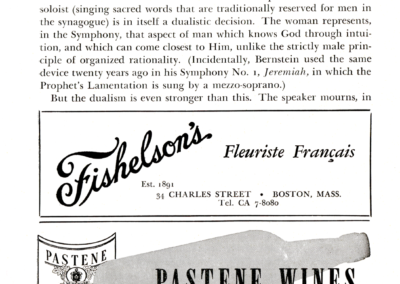 3, ‘Kaddish’ in Symphony Hall. 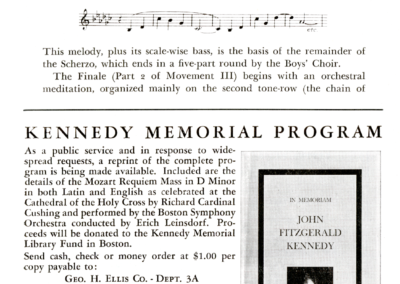 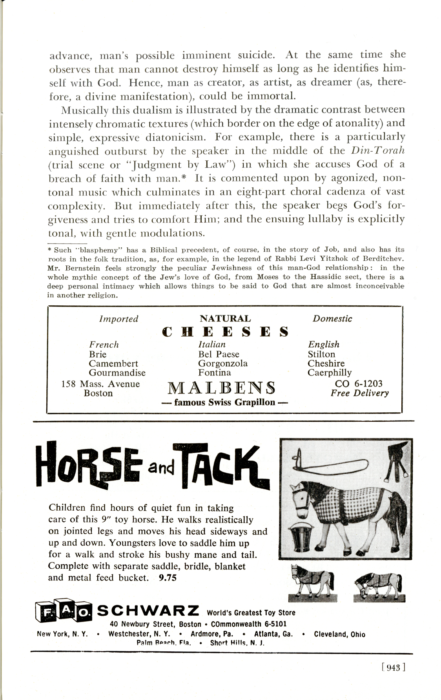 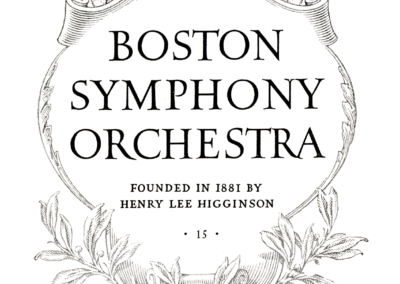 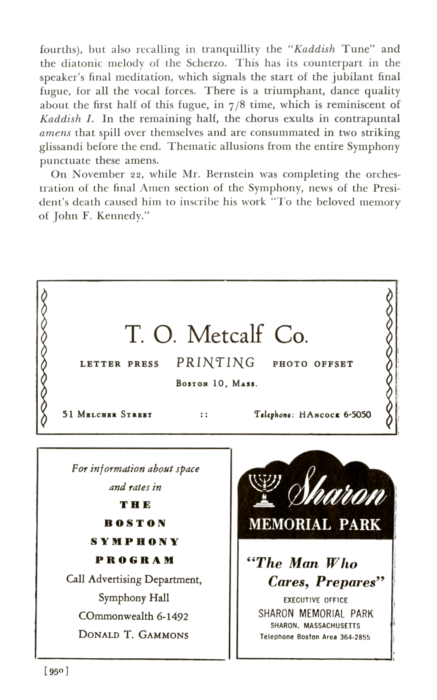 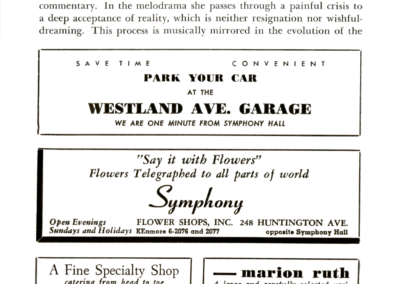 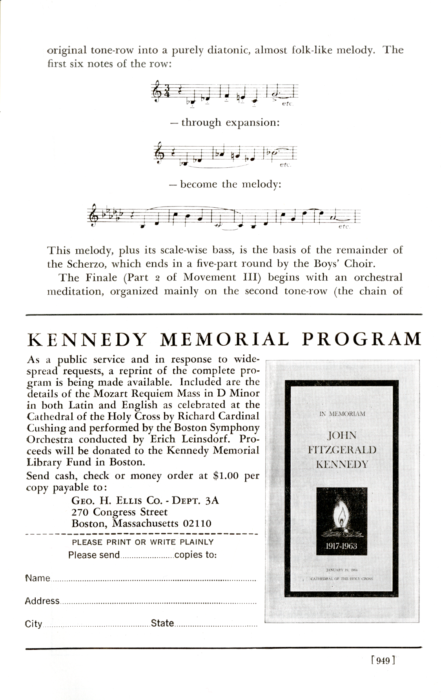 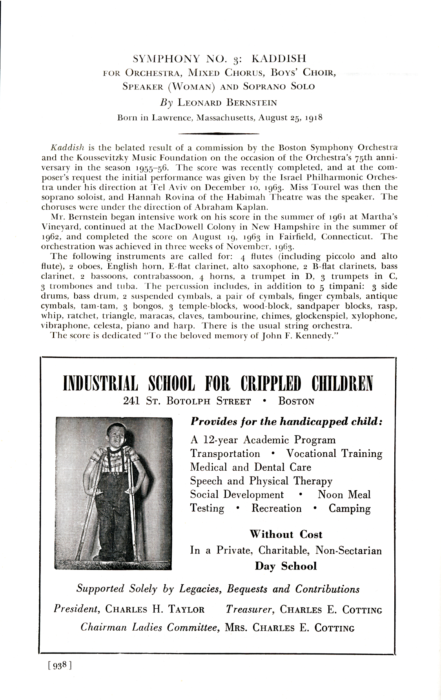 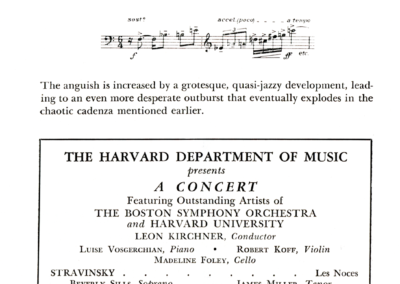 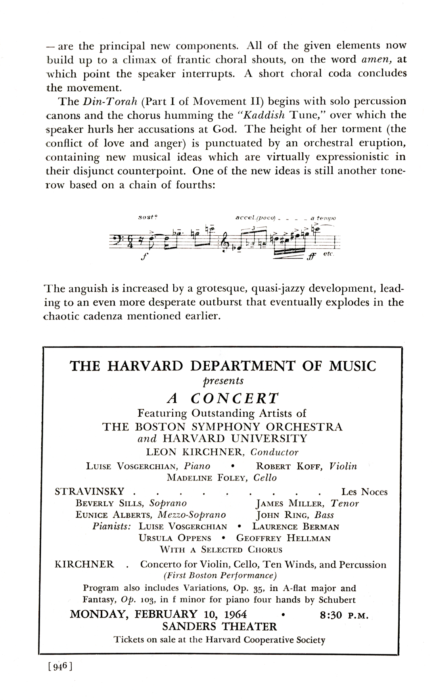 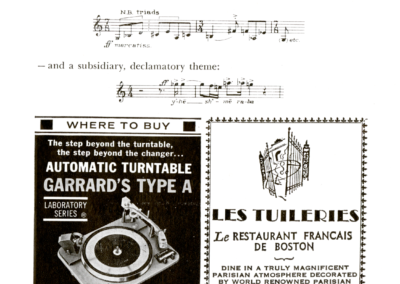 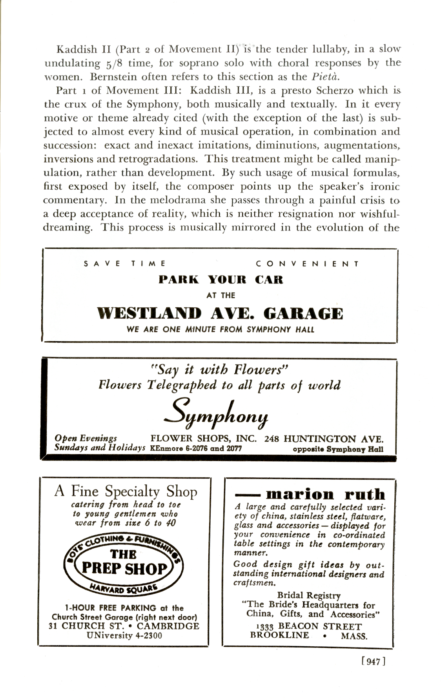 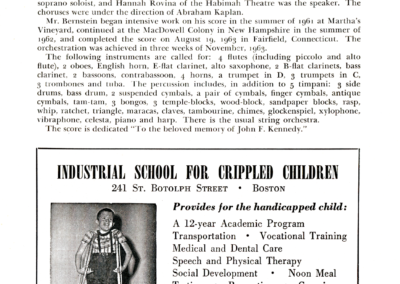 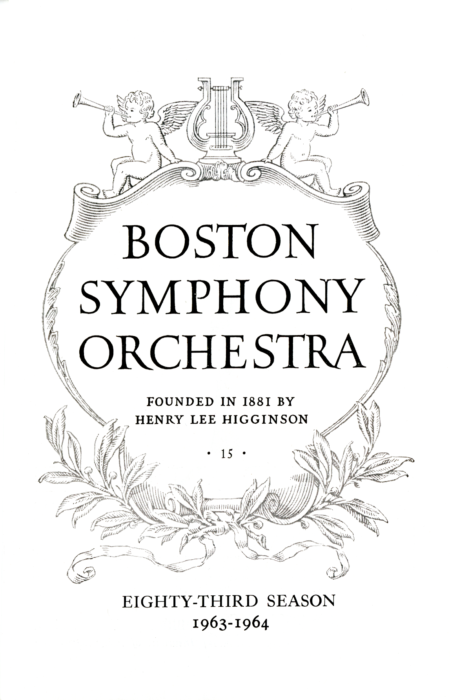 The work was commissioned by the BSO and the Koussevitzky Music Foundation in conjunction with the BSO’s 75th anniversary. 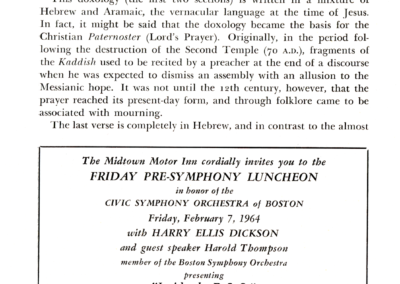 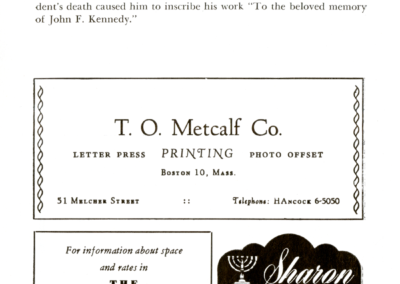 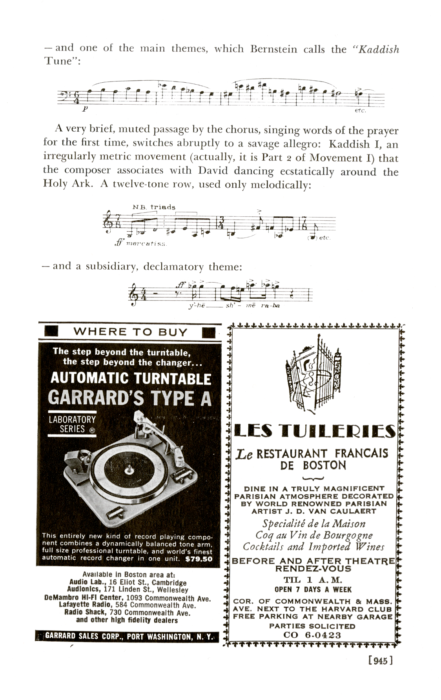 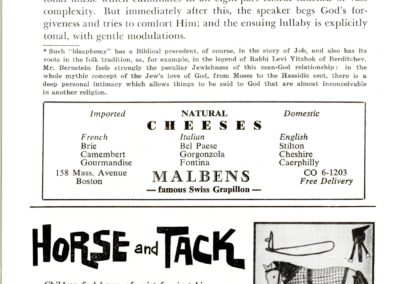 Below are photographs from the performance, the concert program, and program notes on Kaddish.